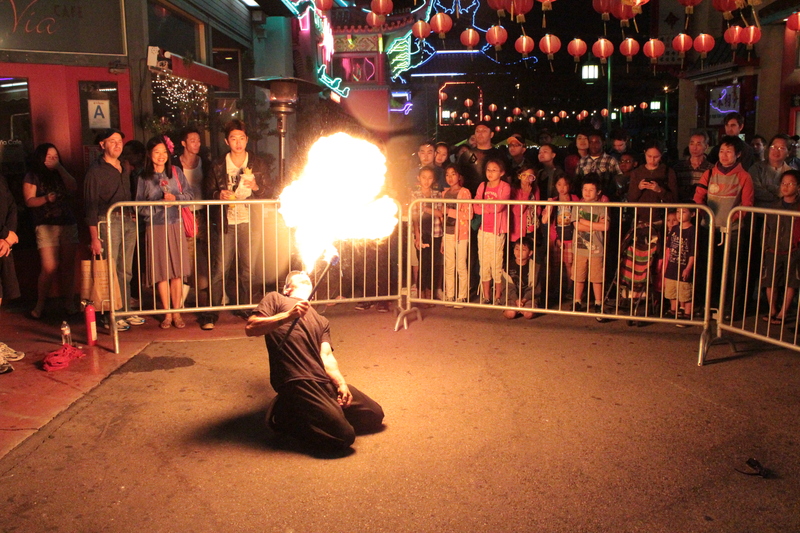 Breathing fire at Chinatown Summer Nights. Photo by Salina Canizales via Flickr/CC. It’s summer, so take a vacation from traffic with one or more of the following transit-accessible events happening across our beloved City of Angels. If you’re seeing Jenny Lewis at the Wiltern (we’re jealous!) don’t forget that the Purple Line to Wilshire/Western is a great way to go! There is no maintenance schedule on the Red/Purple Line this Saturday night, which means trains will run every 10 minutes throughout the evening. This Saturday is also the third and final Chinatown Summer Nights of 2014. From food to music, art and dancing, there’s something for everyone at this event that is fast becoming a staple of Summer in Northeast LA. Hop on the Metro Gold Line to Chinatown Station or various Metro and municipal buses serving Chinatown. Theater enthusiasts take note: this Friday and Saturday are the last two days of Redcat’s New Original Works Festival in downtown L.A.. Go Metro and receive 20 percent off tickets. For more info and how to get there, see our earlier Source Post. Did we miss something? Let us know where you’re taking Metro this weekend in our comments section. I wish I would’ve discovered this article sooner! Great transit-accessible event suggestions, Lily Allen!